Mexican charm meets luxe outdoor living. The subtle, refined, and perfectly done Las Palmas offers uniquely appointed casitas or villas with charming, traditional touches such as talavera tiles, 'repujado' framed mirrors and comfortable 'equipal' furniture. 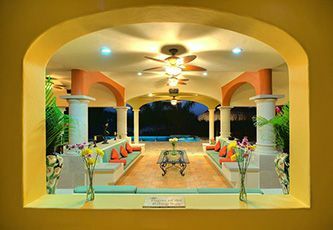 The hotel has 5 casitas, each with cable television, 2 full baths with shower, a/c, fans, balconies and fully equipped kitchens. 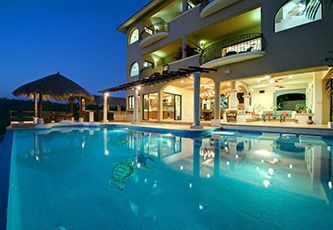 The three villas have full kitchens, living and dining space, outdoor patio, private pool and hot tub, cable TV and A/C. This casita is located on the second level. 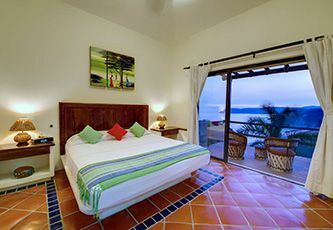 one suite and two bathrooms, has a stunning view of the sea from where you can see the sunset. This Casita has a Double bedding, which makes it perfect for groups of four. 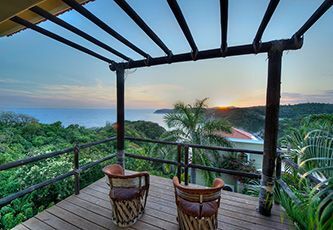 This Casita is located on the second level and includes a suite room and 2 bathrooms, it also has a spectacular ocean view where you can see sunrises and sunsets unmatched. This casita has an additional single bed, making it perfect for four people. 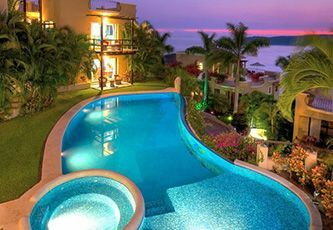 This casita is located on the second level with a one suite and 2 bathrooms, with spectacular ocean view where you can see sunrises and sunsets unmatched. This casita has an additional single bed, maximum occupancy 3 people. 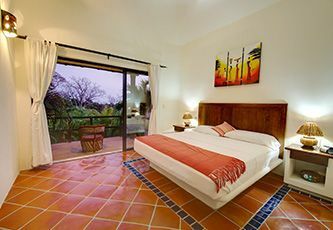 This casita located in front to the pool, with one bedroom suite, two full bathroom with shower and nice view to the ocean, pool and gardens.This casita has an one additional twin bed, and has a maximum capacity for three people. 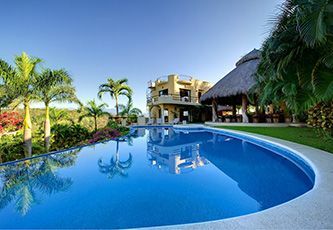 This casita is located on the second level with a one suite and 2 bathrooms, with spectacular ocean view where you can see sunrises and sunsets unmatched. This casita has an additional single bed, maximum occupancy 3 people. 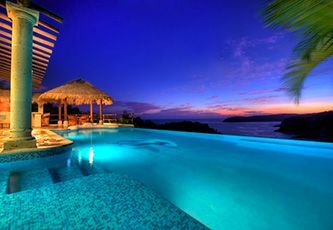 The Villas include one transfer from the airport to the hotel for up to 10 persons. The hotel can set you up with a cook, either by week or by meal, per person. They can also pre-stock if you wish to do some cooking yourselves. We highly recommend booking meal services most of the time and heading out to experience local dining if you're so inclined.